It was barely 6 A.M., but Simon and I were wide awake. Thanks to Vutha, our experienced tuk-tuk driver, we had beat out the crowds by waking up at this ungodly hour. A man of few words but with an endless kind smile, Vutha dropped us off in front of a thicket of trees and said he would meet us on the other side. We wandered on the pathway by ourselves, stillness surrounding us. 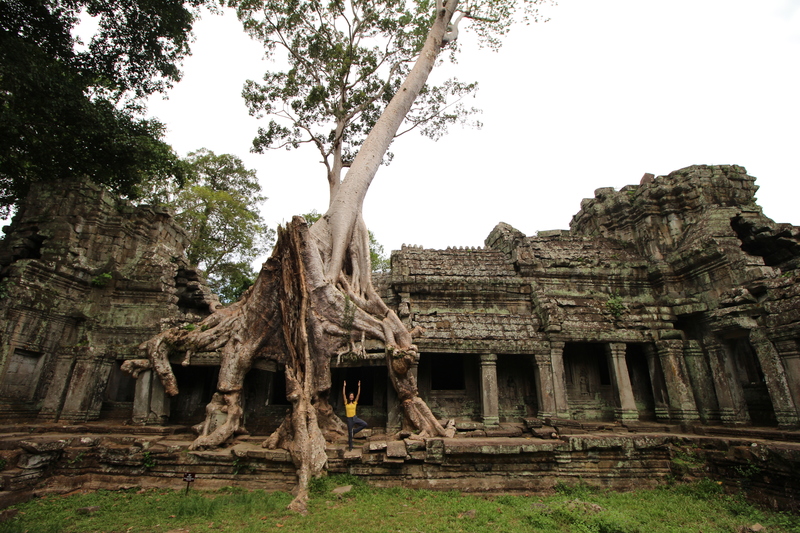 Coming across a clearing in the jungle, we held our breath in amazement at our first temple discovery in Cambodia. And this wasn’t even Angkor Wat. 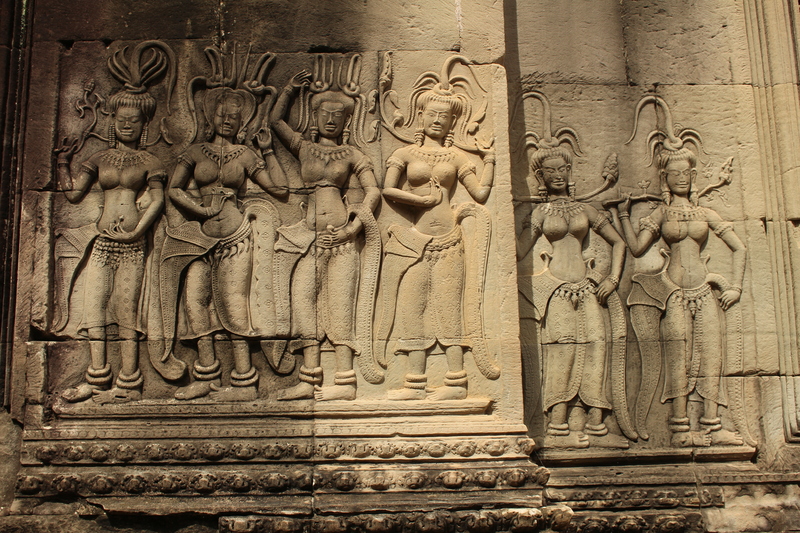 Angkor Wat is what comes to most people’s minds when they think of sightseeing in Cambodia and it is the main reason why visitors flock to Siem Reap every year. 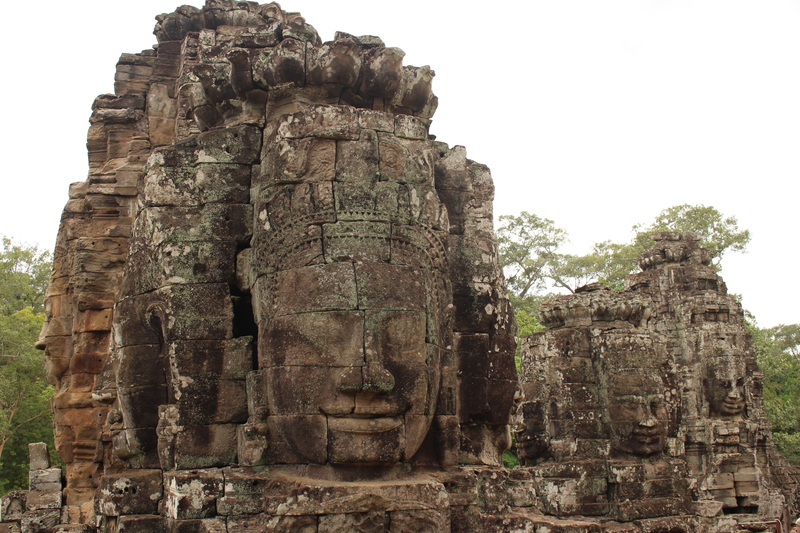 While it is the most famous and stands as the largest religious monument in the world, the greater area of Siem Reap is a treasure trove of temple complexes, enough to leave the wide-eyed hungry visitor astounded for a couple of days. With Vutha and his tassel embellished zippy tuk-tuk, in two days we covered much ground in Siem Reap, from temples just on opposite sides of dense jungles, to complexes that were hour-long rides away by tuk-tuk. We became accustomed to the dusty wind lapping at our hair and faces, and even the thin seat cushions weren’t enough to protect us from being jostled to the bone on those long bumpy rides across the barren landscape. 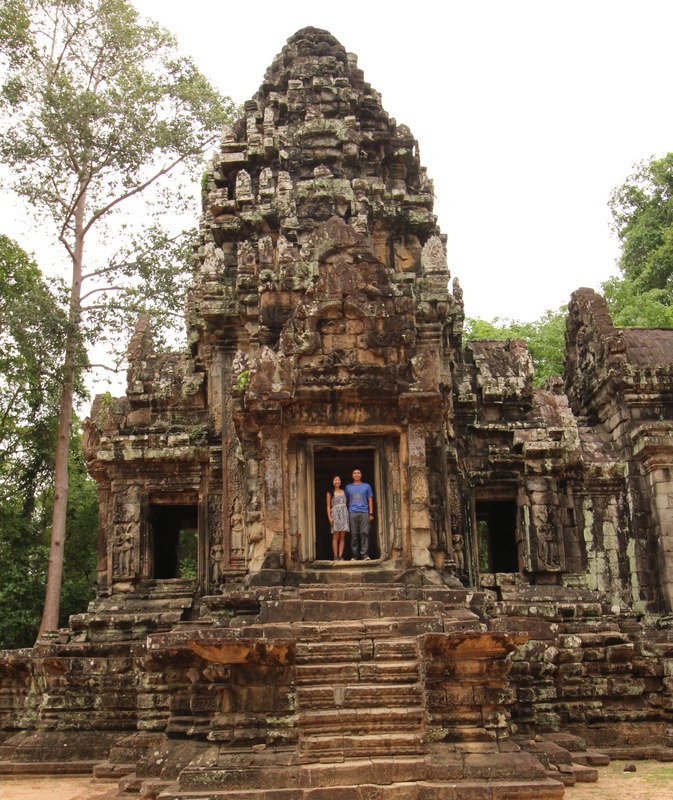 Simon and I immersed ourselves in a whirlwind of temple exploration into Cambodia’s history and Khmer architecture. We climbed up ancient steps to admire the view from the top. 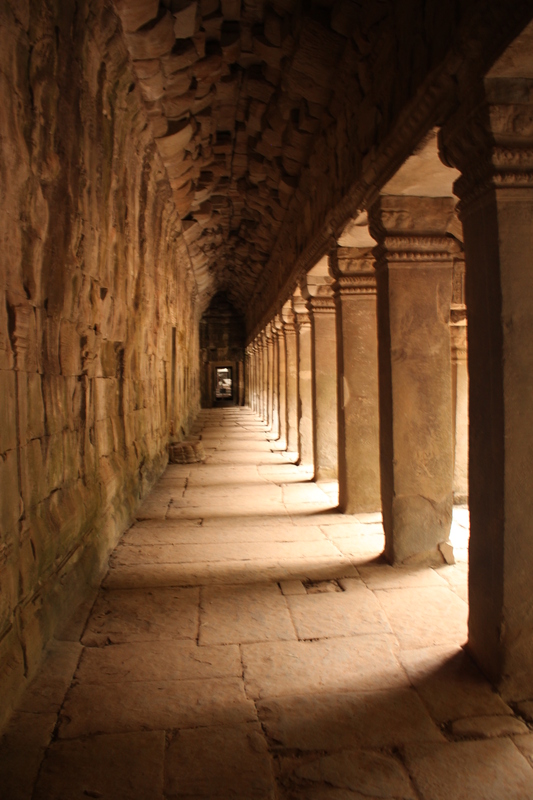 We passed through half galleries with symmetrical pillars that disappeared into a perfect vanishing point. Every temple we set foot in did not fall short of a balanced design, complete with inner and outer courtyards, towers shaped like lotus buds, and carved bas-reliefs with narrative scenes. Much like the Longmen Caves in China, no surface was left uncovered without decorative flourishes and a high level of attention to detail. Most of the temples were over grown by trees and crawling vines, the facades of intricate carvings worn down over time, bricks weathered by history and streaked with brown and serpentine green grime, and half crumbled stone pillars that managed to be spared from war and genocide. 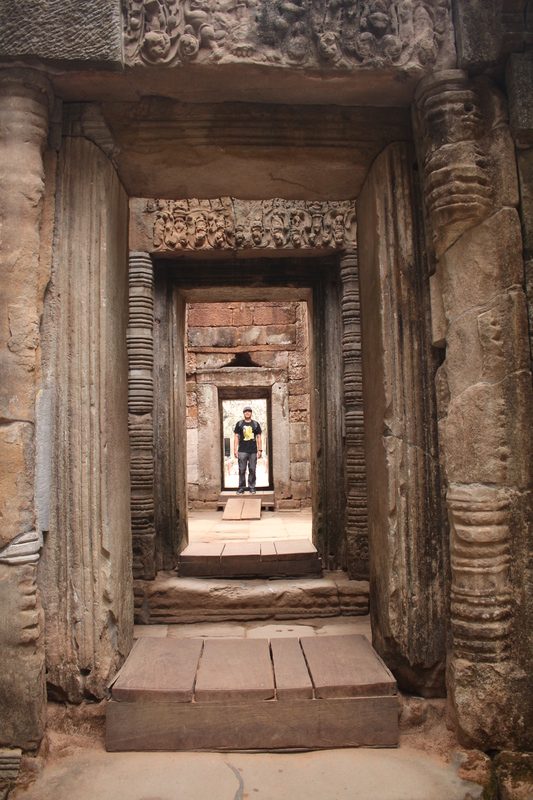 Getting lost inside the maze of corridors, I wondered what these temples would’ve been like at the height of the Khmer Empire. It is weird to even imagine the temples shiny and new, with no stone missing, every carving sharp and precise, the color vibrant and unsullied. 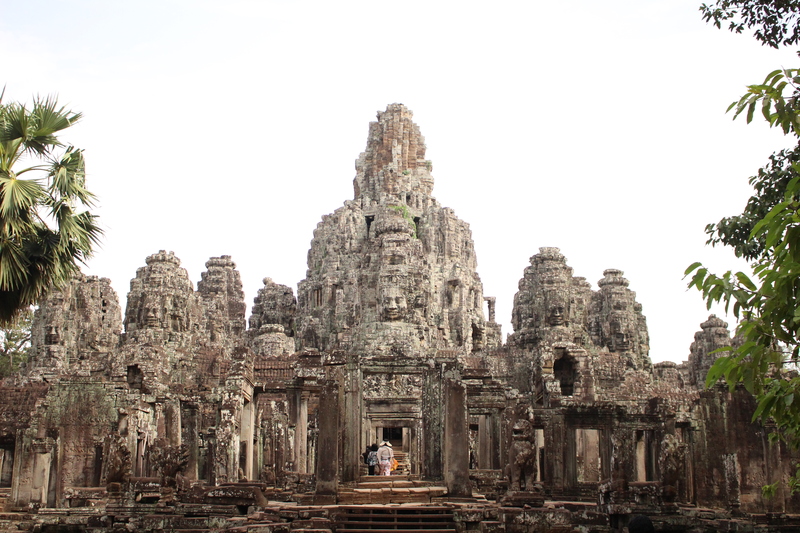 And yet, despite their age and decrepit condition, the temples dumbfounded us at every turn. We woke up at the crack of dawn on the second day to catch the famed sunrise over Angkor Wat, but so did the rest of the tourists in town. The tranquil morning and glow of the midnight sky turning a pale blue was disrupted by the low buzz of spectators eagerly waiting for the sun to make its first appearance – a highly anticipated postcard perfect gleaming orange fireball rising behind the temple’s silhouette. But the grand entrance never really came; the hazy sky just became lighter and brighter, until soon, there was without a doubt that daylight had arrived. 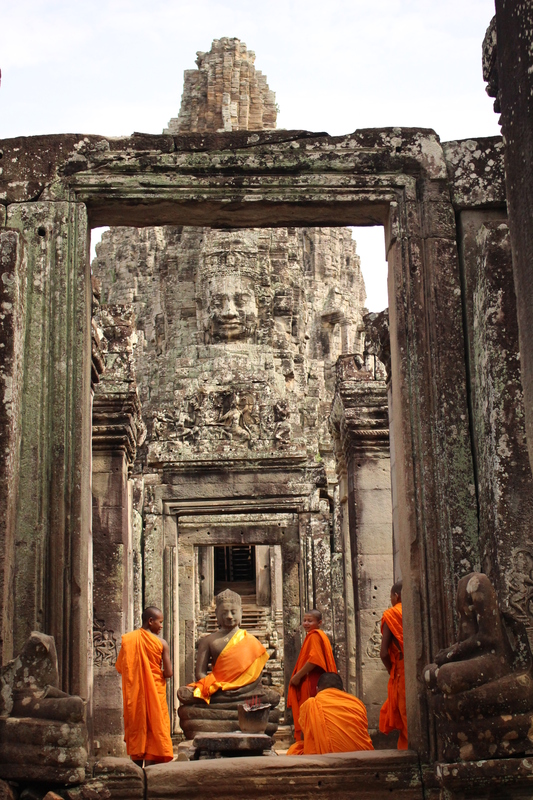 We didn’t need a spectacular sunrise to appreciate the wonders of Angkor Wat, for the temple itself was the spectacle. great pics!! 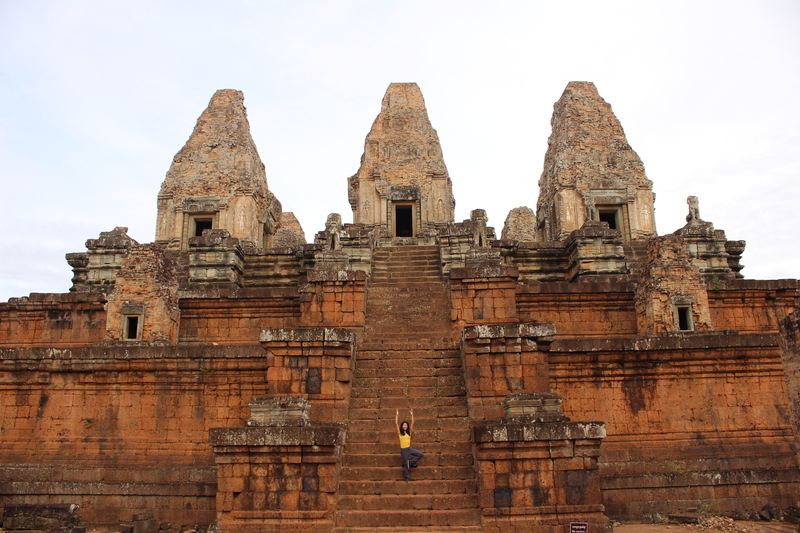 indeed, the temples in siem reap are absolutely amazing. i too wonder what it would’ve been like to have experienced them when they were at the peak of their civilization, they must’ve been glorious! So jealous 🙂 I love your photos! Thank you! If you haven’t been, it will definitely inspire the photographer in you!